Now, through April 26, get an incredible $300 rebate on a set of four (4) Goodyear Assurance WeatherReady tires, when you put the purchase on your Drive Card. The Assurance WeatherReady is Goodyear’s new grand touring all-season tire designed for family vehicles. 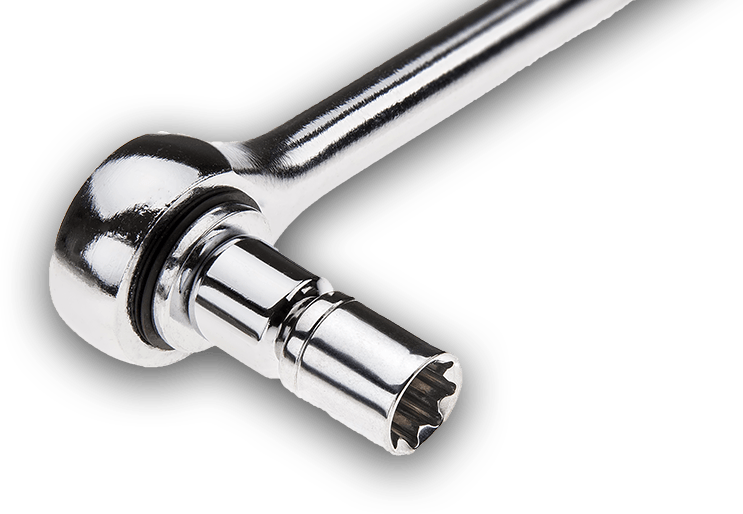 Available in 40 sizes, the WeatherReady fits most sedans, crossovers, SUVs, and minivans on the road today. An asymmetric tread pattern, sweeping tread grooves, and a special tread compound combine to provide Goodyear’s best all-season traction. Special Evolving Tread Grooves transition from deep to wide to evacuate standing water on the road. In winter, a soy-based rubber tread compound with added silica stays pliable in lower temperatures while providing extra grip. In fact, the WeatherReady has earned Severe Snow Certification. 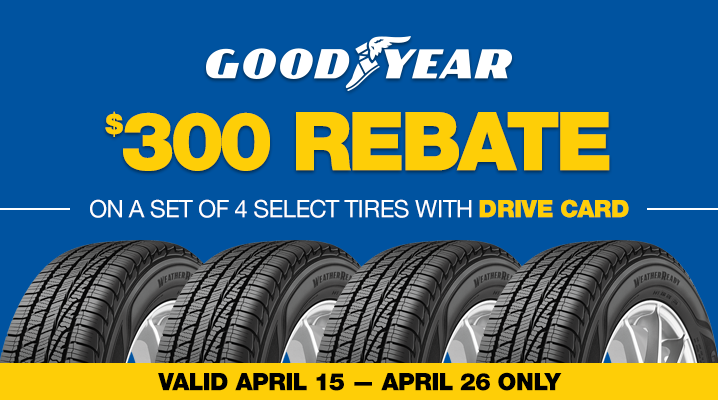 This rebate is a great opportunity to save on a replacement set of tires for spring and summer vacation travel, as well as year-round confidence and road control! In addition to our limited time Assurance WeatherReady offer, qualify for rebates up to $200 back on more than a dozen other Goodyear tires, including all-season, touring, performance, and all-terrain models. See the store nearest you for details and a rebate redemption form. Don’t have a Drive Card? Apply for instant approval at any of our stores. * Subject to credit approval. 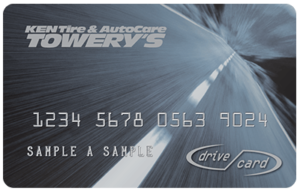 Purchase a set of four (4) Goodyear Assurance WeatherReady tires using the Drive Card from 04/15/19-04/26/19 and receive a $300 Mastercard prepaid card after mail-in rebate. Not valid on prior purchases. One prepaid Mastercard per visit. Cannot be combined with other credit card rebates. Valid at participating store locations. Prepaid card is issued by Sunrise Banks N.A., Member FDIC, pursuant to a license from Mastercard International Incorporated. Mastercard is a registered trademark of Mastercard International Incorporated. This card may be used everywhere Mastercard debit cards are accepted. See store for complete details and a rebate redemption form.